Brisbane City Council has given Cromwell Property Group the thumbs up to go ahead with their proposed student accommodation project in the heart of Brisbane's CBD. 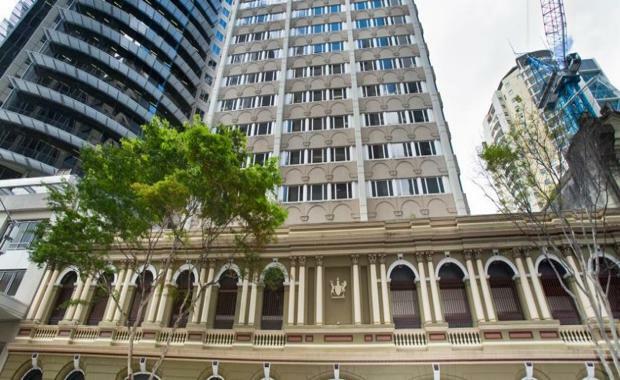 Lodged earlier in 2016, the proposed development includes refurbishing the existing buildings located atop the heritage listed Forestry Building, located at 154 Mary Street & 147- 163 Charlotte Streets, Brisbane City. The result of the refurbishment will be an accommodation site that will include 626 student apartments, providing 954 beds across the two 17 storey towers. Cromwell Lodges DA For 915 Rooms Of Student CBD Accommodation]Cromwell's DA was approved as part of Brisbane City Council’s student accommodation incentive scheme. The scheme involves a reduction of infrastructure charges to student accommodation developments within a four kilometre radius of the city, which makes the site's location a viable development candidate under the scheme. “More than 7500 student accommodation beds are now approved with a further 1851 beds from 13 applications currently being assessed,” Cr Quirk told The Courier-Mail. He said international education is Brisbane’s biggest export market, and developments such as this answer a previous lack of purpose-built, high quality student accommodation that has caused student to take up residents in outlining suburbs. The project will have a number of features including 478 bicycle parking stations, gym, pool tables, study areas and karaoke rooms. The site was built in 1883 and later demolished in the 1980s due to structural instability, but the building's facade remained. As the only heritage fabric remaining, the facade will be completely protected and preserved by the Heritage Overlay Code so as to not detract from the cultural heritage significance of the building. Development is required to begin before July 2018, and the project's accommodation factor must be accessible within a year after that in order to be eligible for the student accommodation incentives.